Your History subject probably made your head hurt because of the numerous dates, places and figures you need to remember just to get good scores on your quiz or exams. While the library books are great sources of help for students, college History instructors in CT can be of even greater help to getting satisfactory scores for the test without the difficulty of finding which information is accurate. Nowadays, it is easier to get information because of the availability of the internet. We also offer online History subject help in Bridgeport, Fairfield and Norwalk CT – a service beneficial particularly for students with a stable internet connection and a laptop or personal computer at home. This private History tutoring service is administered via Skype and is very cost-efficient because there is no need for transportation fees. US and world History subject help in Fairfield County can best be administered by experienced and licensed tutors. They have the necessary certifications that make them qualified to offer such comprehensive tutorial services for college students in preparation for their academic exams or for a certification test. 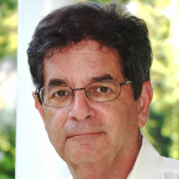 Do you want to find a good History subject tutor in the Westchester NY and Fairfield CT counties? We have the best teachers on our team to provide you with high-quality teaching services. Send us a line at info@callmytutor.com or call us at (203)340-0391 now and we will be happy to assist you regarding your queries about our products or services within the Fairfield CT or Westchester NY area. We have a wide range of preowned university textbooks for History to suit your needs. Our resources can help you remember important subject concepts and develop competencies relevant to the test. Get your textbooks today! World History Geography is one of those OSATs. It’s a 4-hour paper-based test which one can be assigned to take in either the morning or afternoon session in designated test sites. If one is looking to take these tests soon, there is some good news. Although tests began last September, these will end sometime in April 2015. So there is time to review. You know what’s even better? The CEOE/OSAT Test Guide by Mometrix Test Preparation is available to help you be successful in these tests. The CEOE/OSAT Learning Guide is a powerful guide created by a dedicated team of expert researchers to enable test takers to improve exam results dramatically with minimal effort. Easy to understand and use, the test guide discusses the essential skills necessary to pass the CEOE convincingly, plus a wide-ranging review covering any specific CEOE test, including World History Geography (018). A printed copy of the test guide or its downloadable version can be purchased at the website below for a very affordable price of US$ 39.99. Aside from getting the learning guide, you will also receive bonus material such as CEOE practice test questions, test secrets, and tips on how to overcome test anxiety, among others. Best of all, it comes with a risk-free 100% money back guarantee. The upcoming NES History Examination will soon be taken. Candidates aiming to become certified teacher for History subjection are required to take this test for Secondary Assessment. This test is handled every year round. Candidates taking this test should complete the exam for three hours. This exam is a computer based test which is composed of 150 multiple-choice questions. $95 will be the testing fee. Before being called as a certified teacher, of course candidates should also pass the examination too! Test takers must obtain the national benchmark score of 220 to be able to get the certification. After the test, candidates will be given a scaled score. Score reports will be released after two weeks. Listed below are the main topics with their respected subtopics. This lists will help test takers lessen the scope of their study and can help them focus on the topics listed below. It is highly motivated that candidates must scan their stock knowledge ahead of time to avoid time pressure and anxiety. Proper time handling during your study would be the key to ace the exam during your review period. Giving high allocation of time spend in studying to heavy part of the exam will be a big plus! Here are the list of main topics with their respected weighted percentage. 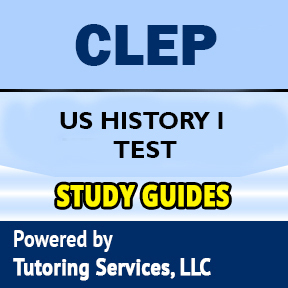 The History of the United States I: Early Colonization to 1877 examination covers material that is generally taught in the first semester of a two-semester course in United States history. The examination covers the time of United States history from ahead of schedule European colonization to the end of Reconstruction, with most of the inquiries on the time of 1790-1877. In the part covering the seventeenth and eighteenth hundreds of years, accentuation is put on the English settlements. The examinations contain 120 questions to be replied in an hour and a half. Some of these are pretest inquiries that won't be scored. At whatever time hopefuls spend on instructional exercises and giving individual data is notwithstanding the genuine testing time. Questions on the History of the United States I examination require candidates to demonstrate one or more of the following abilities. The subject matter of the History of the United States I examination is drawn from the following topics. The percentages next to the main topics indicate the approximate percentage of exam questions on that topic. 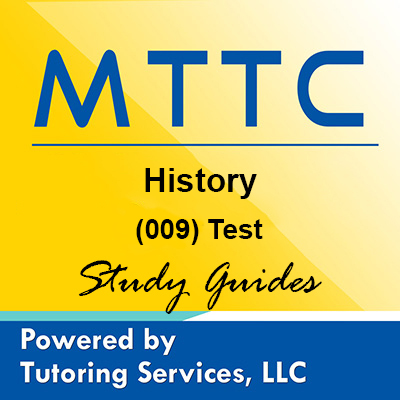 The ABCTE World History & PTK Exam is one of the teaching certificate exam administered by the American Board for Certification of Teacher Excellence. The organization believes that to further certifying the teacher in the field of World History will give them a beautiful career job in the educating students. They will have a lucrative future ahead since most certified teachers are preferred to be hired by the school. It will also test their skills and knowledge of the subject matter. The test is comprised of a difficult level of exam which mandates incoming examinees to be engrossed with the given broad subtopics. Pressure and stress often cloud them and poor test resources never guarantee them to pass the ABCTE World History & PTK Exam. Because of this, StudyGuide.net created a special review tool for those who want to excell in the test without pouring out all the energies stored in your body. Our ABCTE World History & PTK Exam Study Guides is filled with all the necessary ingredients that are proven to help you in passing the exam in flying colors. You will not just guaranteed of a passing rate but a promising grade that will add a good credit to your resume. If you will buy ABCTE World History & PTK Exam Study Guides you are assured of the best test skills for a sure win in the World History and Professional Teaching Knowledge. Why will you settle for expensive loads of review materials that are not sure to come out of the exam when our Study Guides are proven to help you? Buy ABCTE World History & PTK Exam Study Guides at StudyGuide.net and expect a sure pass for you.